Gaetano Thorel has made Ford a winner in Italy. TURIN – Ford has given its No. 2 marketing job in Europe to the man who has helped make the U.S. automaker Italy's top-selling foreign brand for six years in a row. Gaetano Thorel, currently managing director of Ford Italy, takes over as Ford of Europe vice president of marketing on April 1. Thorel, 44, succeeds Paul Thomas, 59, who is retiring after 38 years with the automaker. Thorel, who is from Catania, southern Italy, will relocate from Rome to Ford's European headquarters in Cologne, Germany, and report to Vice President of Sales, Marketing and Service Roelant De Waard. "Gaetano has gained wide experience in numerous marketing sales and service roles in Ford of Italy and Ford of Europe. We look forward to him bringing all his experience and enthusiasm to Ford's European Marketing team and in supporting our global brand," de Waard said in a statement. Thorel takes control of product, pricing and communications during a crucial time for Ford's European operations. Last year, Ford of Europe reported a pre-tax loss of $27 million despite increasing unit sales 2 percent to 1.6 million units and revenues 15 percent to $33.8 billion. Ford, which had a 2010 pre-tax profit of $182 million, blamed the loss on an unfavorable exchange rate and increased pressure to reduce new-car prices. Domenico Chianese joined Ford Italy in 1997. 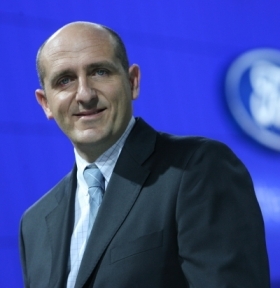 Thorel will be succeeded by Domenico Chianese, a 40-year-old Italian who has been with Ford Italy since 1997 and is currently to unit's marketing director. Chianese will try to defend Ford's position as Italy's No. 2-selling brand after Fiat by holding back the VW brand, which finished 2011 as the second-best foreign brand. Paul Thomas was Ford of Britian boss from 2002 to 2006. 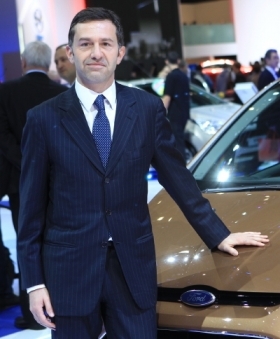 Thomas has been Ford of Europe's vice president of marketing since 2006. During that last five years he has helped the automaker improve its brand image. 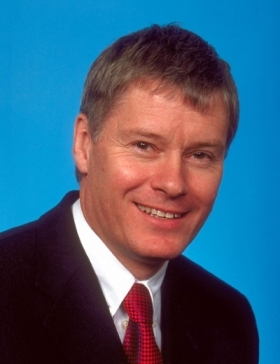 Thomas, who started his career in Ford's European marketing department in 1974, was managing director of Ford of Britain from 2002 to 2006. Thorel, who has a degree in mechanical engineering from Tor Vergata University in Rome, joined Ford in June 1992 as a service zone manager northeast Italy. He was choose as Rising Star in the European automotive industry by Automotive News Europe in 2011.